Feed your love for bags and organizing totes while learning how I juggle running a supplemental business with 5 kids, one in the icu. This blog is far from boring. There are so many people that just love planning and hosting events year round whether it be a little Halloween get together for the kids, or a elegant wedding on the beach. That takes some serious skill and most importantly, money. Depending on the event the price tag may be a hefty one. However, that does not always have to be the case. If you love planning events or wish you could afford to put together more events, these 7 tips are for you! What is in Her Instant Pot Now? 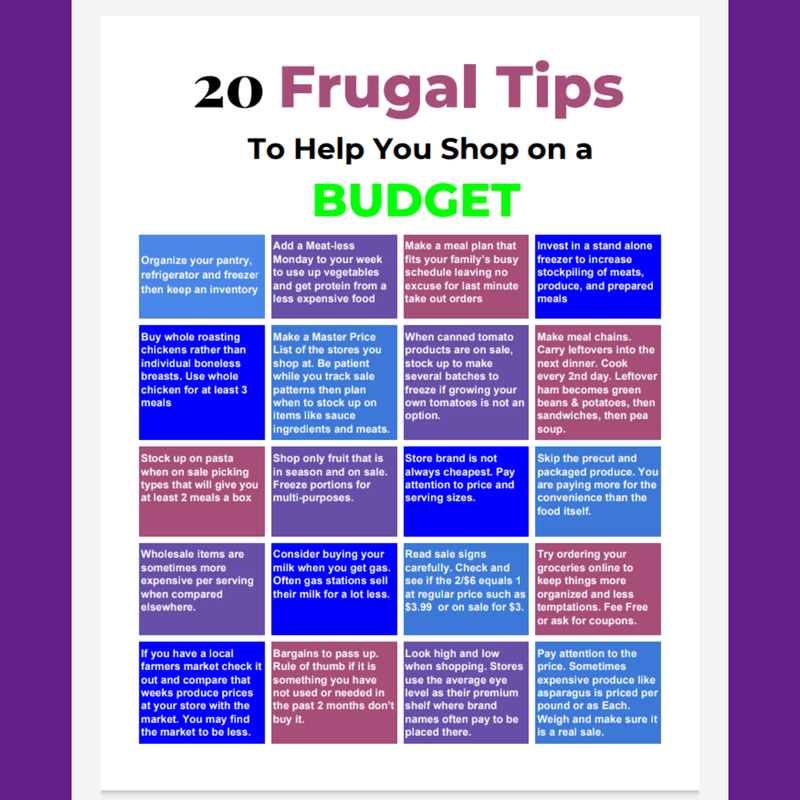 Download My Free 20 Frugal Grocery Shopping Tips!